The Dual-X cooler featured in the latest SAPPHIRE NITRO+ RX 500 Series cards is an all-new design. both the noise level and temperatures are down compared to our previous generation. Two 95 mm fans with advanced airflow section blades provide more powerful yet quieter cooling versus smaller standard fans. With dust-repelling dual ball bearings, Dual-X offers exceptional reliability. status via SAPPHIRE TriXX 3.0 software. will arrange the ideal solution for you to receive your replacement fan. efficiently. On the backplate, same idea is also implemented around the back side of the MOSFET area. noise performance of every card is up to the standard. as it costs. With tasteful shroud design augmented by RGB LEDs, each card is practically a piece of art. Speed Mode, GPU Temperature Mode or the colourful rainbow mode. If you prefer, LEDs can also be turned off. cool your card by increasing heat dissipation. rate with your RX 580's framerate. smooth, wonderfully immersive and entirely stress free. Premium VR doesn't need to expensive! ports, you can have both an HD monitor and cutting-edge VR headset running at the same time. 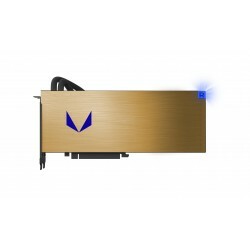 SAPPHIRE Pulse is all about providing PC users with choice and great value for money. 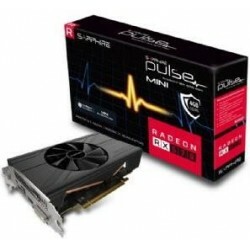 Buythis AMD Radeon™ RX graphics card and get three PC games FREE! Built on the future-proof Polaris architecture, the SAPPHIRE NITRO+ Radeon™ RX 580 graphics card plays your favorites at a smooth 1080p and beyond, from the latest eSports games and MOBAs to the most popular, graphically-intensive AAA titles. ASUS Radeon RX 550 comes equipped with a dust proof fan for a 25% longer card lifespan and the fans is IP5X dust-resistant for improved reliability. The Sapphire RX550 2Gb Pulse is a compact but powerful GPU with even more power in the OverClocked edition.